The 16ft Green Man Yurt is the smallest of the three yurts, sleeping 2 comfortably with room for a cot. Being the most secluded it is especially popular with couples and honeymooners. 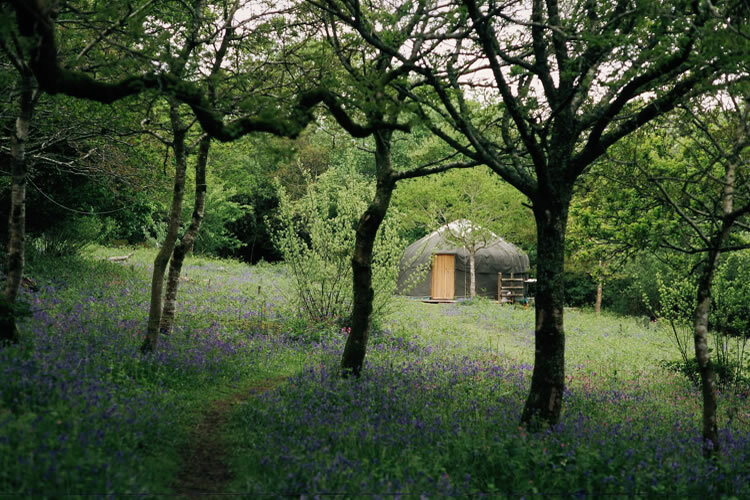 The 18ft Oak Wood yurt sleeps 4 but is also popular with couples. Set in a small sheltered clearing, surrounded by gnarly old Oak Trees. 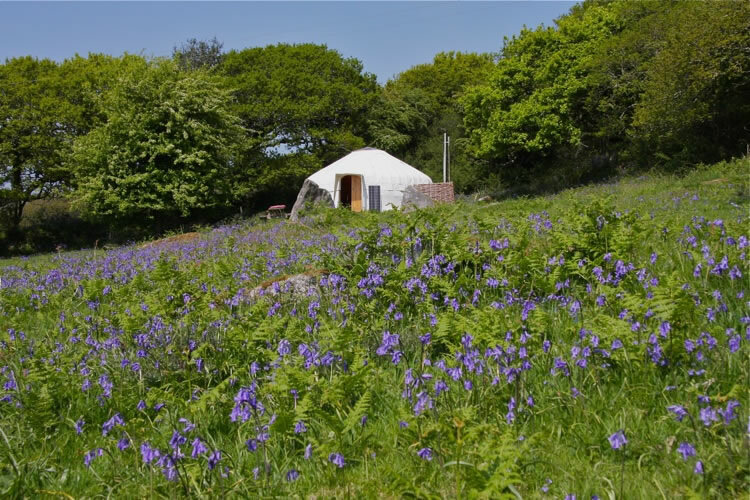 The 20ft Ash Field yurt with 10ft yurt pod attached sleeps 6, set in the corner of a field with great views across Cornwall. A luxurious space for families and for couples who like a bit of extra space. 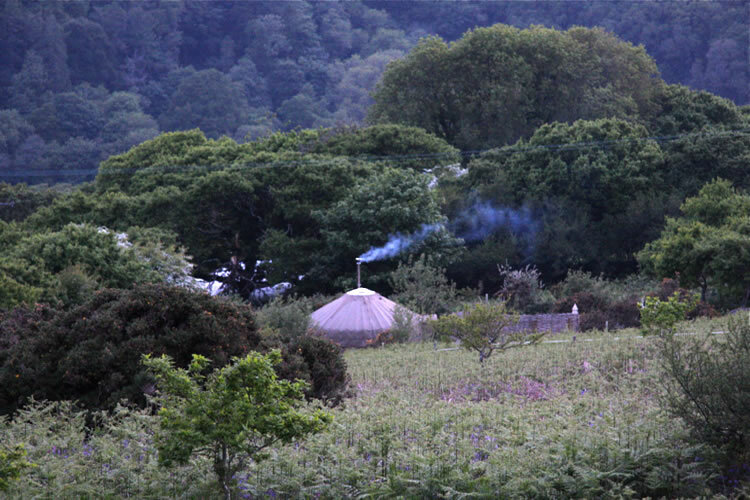 With burning log fires and big open skies on the edge of Bodmin Moor the yurts are in a beautiful spot. The river flows in the valley below and the moors lie behind. The views of North Cornwall stretch as far as the sea. We only have three yurts, made here at Yurtworks, each one set up on a deck in their own secluded patch. Camp fires, barbecues, den making stuff and hammocks help you create your own encampment against a backdrop of gnarly old oaks..
A much loved natural heartland with badgers, foxes, otters, roe deer and some very beautiful butterflies. Although perfect for a digital detox, it is an easy walk to the village shop and the local pub. "This place has definitely got the wow factor... We've had a magical time and the girls had the best holiday ever."